Have you ever allowed yourself to really think about it? I wonder what Christmas would look like if our celebration thereof truly reflected the radicality of the event. Would we even recognize it? As I was driving up the freeway today on my way up to Pasadena for my school's (SFTS) Community Christmas Lunch (for which I am extremely early... that's why I'm writing this post from the Fuller Library), I drove past several very large and well decorated Christmas trees. One in particular was in Lake Elsinore at the outlet mall. It was enormous and towering above the rooftops of the retail stores huddled beneath its shadow. Perhaps I exaggerate but I think just one of the ornaments was probably bigger than our whole tree (which, I should mention, only stands a couple feet tall). It was as I drove past this tree that the wheels in my brain started turning. "How effective!" I thought to myself. What a wonderful marketing ploy... because that what it has become. 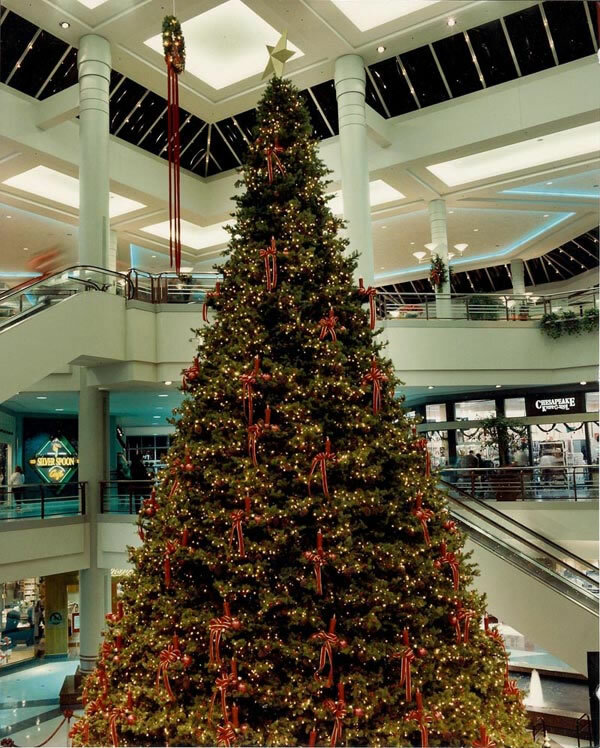 The Christmas tree, perhaps (sadly) the most recognizable symbol of Christmas, and Christmas itself has become a marketing tool for corporations, department stores, outlet malls, and even Christian retail stores. Oh, how the rich have benefited from holiday cheer. For the poor, however, I'm afraid that Christmas, at least the sort of Christmas which decks the halls of shopping malls, has not changed anything. Christmas toys are not made by Santa's elves but by the worn out hands and broken finger nails of overworked Children south of the equator and south of the poverty line. Yes, Christmas is good gort those on the north pole, at the top of the world, but what is it really doing for the south pole, for those on the under-side of society? How different this sounds from our shopping mall Christmas carols. There is such a raw and radical hope in Mary's song--one we should seek to emulate. We should ask ourselves the question, what would Christmas look like if we took away the lights and ribbins and added "good news to the poor"? What would it look like for Christmas to "fill the hungry" but "send the rich away empty"? What if Christmas belonged to the South Pole instead of the North? How could our celebration reflect such a Christmas? Perhaps by giving more presence and less presents... I've mentioned this before. Perhaps by giving to organizations which stand with the poor. Perhaps by volunteering. Perhaps by doing something paculiar... Indeed, would not the Christmas of Scripture look quite paruliar to the department stores and the corporate kings? I have always had difficulty trying to bring together the joy and cheer of the Christmas tree, which in itself does represent something beyond the marketing schemes and commercialism, as epitomized by the small tree in Charlie Brown's Christmas, and the attitude that somehow the tree and the secular symbols somehow represent something evil. While I do share your sentiment that Christmas gifts can sometimes represent the avant-garde excesses expressed by overindulgence and overspending, I think there is too much demonizing of the giving spirit that Christmas brings about--the warm smile that both giver and receiver feel when getting and giving gifts--that is not "just" materialistic. There is something very special when, for instance, Sarah buys me a PowerPoint clicker for my class or when I buy her a movie she has really been wanting. There is something "real" about that exchange of love. Whether we like it or not, the lights and ribbons are something real that we as a society celebrate, and I think the way you speak in this post is perhaps too deliberately iconoclastic. I do, however, agree with the sometimes empty spirit that people find in a general "spirit" of Christmas apparent in many of the Christmas movies where people find the "heart" of Christmas as some vague notion of gift-giving. While there is value in the giving of gifts, if that is all there is, and nothing more, than I would agree with your post that we need to reconsider our vague sentimental notions and dig for something deeper. Next time you are at Fuller early give me a call and maybe I can come visit. I am going to try to blog more during the holidays, we will see how that goes. Good thoughts. While some, myself included, have "demonized" the commercialism and materialism of Christmas. Others have joined the all too popular trend of defending it. Balance, as always, is necessary. As long as we realize that out gifts are only real insofar as they are an extension of ourselves, then we might not be owned by them.